Is this the rudest piece of Captain Britain merchandise? | The Captain Britain fans' page and blog. Is this the rudest piece of Captain Britain merchandise? 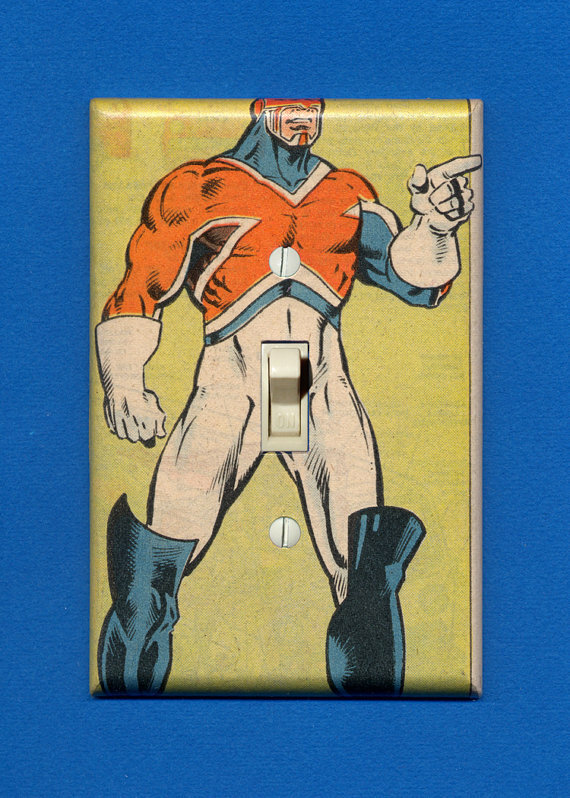 Hats off to friend of The Captain Britain Blog @arbitrarygenius who has found what might be the rudest piece of Captain Britain merchandise ever. Take a peek at the rude light switch below. Fancy one, then click here to order, while I won’t be decorating my version of Braddock Manor with one soon the light switch certainly raised a smile. To keep up with all the posts on this blog you can follow The Captain Britain Blog on Facebook, on Pinterest, or subscribe to this blog by entering your email in the link top right. This entry was posted in Merchandise and tagged Captain Britain, Captain Britain merchandise, Captain Britain rude, light switch by Richard. Bookmark the permalink.